—South Korea should surpass Germany this year as the number 4 overseas source market. 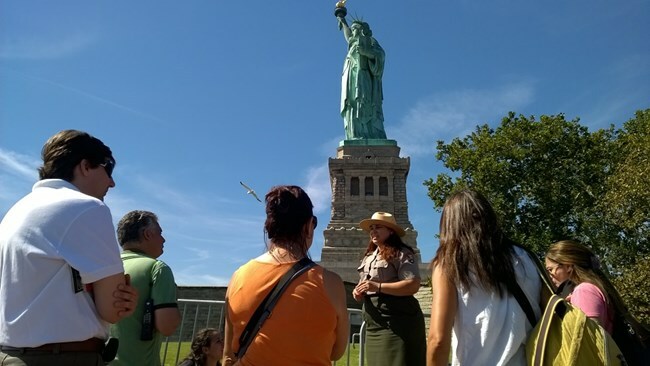 —While Brazil is projected to increase the number of visitors it sends to the United States over the next four years, its annual total will still be far below what it was in 2014 and 2015, when more than 2.2 million came to the US each year. 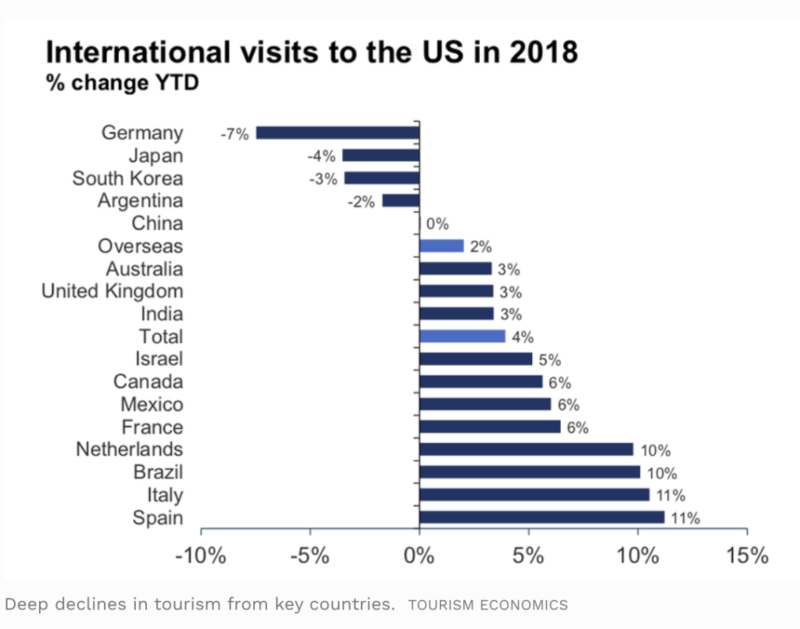 —While it will fall from number 2 to number 3, Japan will remain a stable generator of travelers to the United States, sending about 3.7 million visitors a year for the next four years. 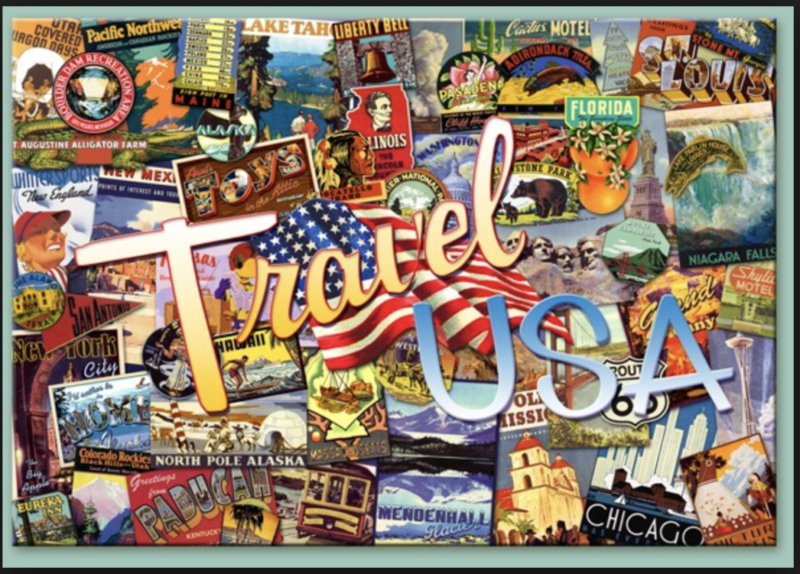 “The U.S. travel forecast is prepared by staff in the Department of Commerce/National Travel and Tourism Office using economic/demographic/social factors, Commerce historical visitation trends, input from the DOC Global Markets staff abroad, and other numerous and varied sources. The forecast is based on a country-level, bottom-up consensus approach by a four-member forecast team. Each team member develops independent country-level estimates for the top 20 visitor origin markets based on numerous quantitative data and qualitative information. These 20 markets account for 88 percent of total international arrivals. The final estimates are based on consensus among the four team members. The NTTO multi-person, multi-factor approach reflects the lack of a strong statistical relationship (correlation) between total annual traveler volume to the United States from a specific country and any specific piece of quantitative data for that country, such as changes in real gross domestic product or currency exchange rate levels. 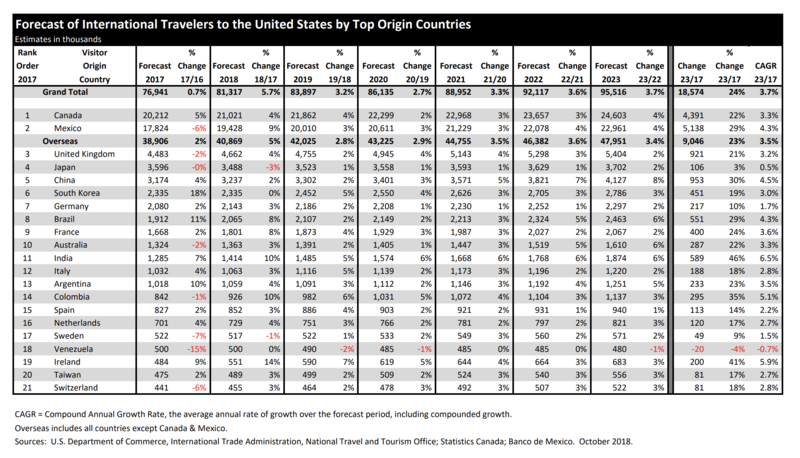 Because of the multi-factor, multi-staff consensus approach, it is not possible to isolate the impact of any one factor on a country’s traveler volume forecast.